This stylish modern round glass coffee table is perfect in every way. This is one of the most beautiful glass coffee tables we have ever seen. The Farniente glass coffee table, with its minimal modern transparent glass top and chromed metal base, seems to float in space. This attractive contemporary coffee table has a tempered glass top. Tonelli's Farniente glass coffee table will add style and elegance to any room. 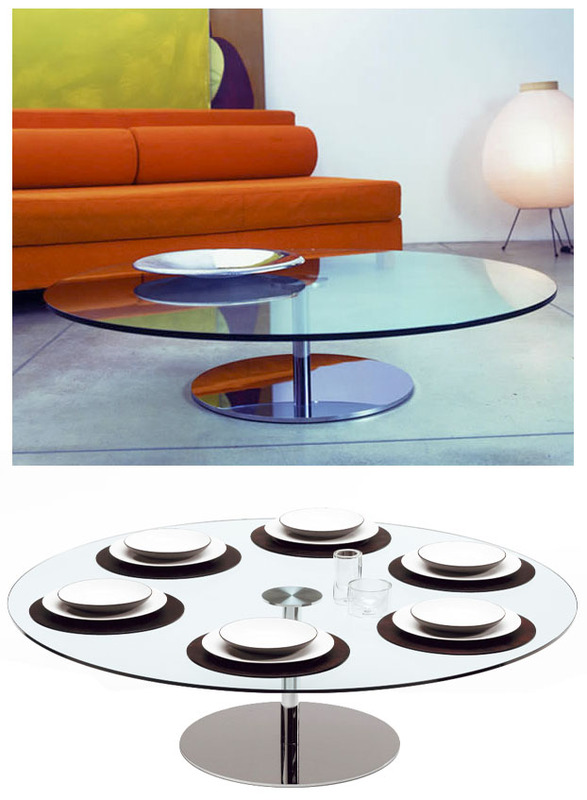 This modern glass coffee table is made by Tonelli in Italy. Tonelli manufactures furniture and designer objects in glass. Tonelli was founded in the mid 1980's as the result of a deep and lasting passion for research and experimentation with glass. Tonelli specializes in glass design, glass furnishings, furniture, glass table, chair, trolleys, showcases, glass tv trolleys, glass table tops, glass tables, glass dining tables, glass sofa tables, glass coffee tables.